Hotels have been advocating the responsible use of towels for years. Hang them up if you are willing to use them again, or leave them on the floor for a replacement. But what about the complimentary soaps? The ones hotel guests leave behind after checking out, even if the soaps have hardly been used? Meet the Basel based SapoCycle Foundation. Hotel soaps throughout Switzerland are now being recycled in a way that not only benefits the environment, but also saves lives and provides jobs. This good news is definitely amazing enough to put a smile on my face! Dorothee and Rudolf Schiesser set up SapoCycle in 2014, and already more than 40 hotels across Switzerland are contributing solid soap bars to the program on a regular basis. Moreover, 25 Swiss hotels from the AccorHotels Group have just joined the scheme. Participating hotels are responsible for collecting the used soap bars and sending them on to SapoCycle partner WohnWerk. This organization takes care of the recycling, thereby creating jobs for disabled people in Switzerland. 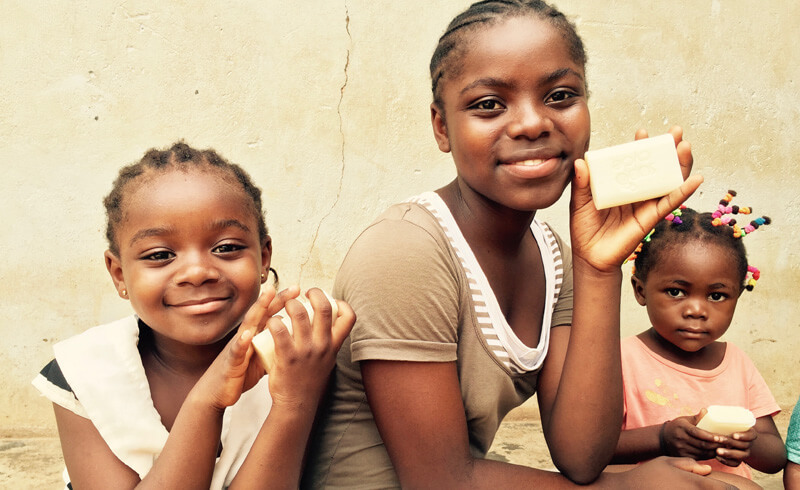 The recycled soaps are then distributed to countries with high child morbidity and mortality rates caused by acute lower respiratory infection and diarrheal illnesses. Did you know that more than 1.5 million children under the age of 5 die each year from these illnesses, which could be prevented by hand washing? The Swiss Red Cross was SapoCycle's first in-country partner and remains a major collaborator. 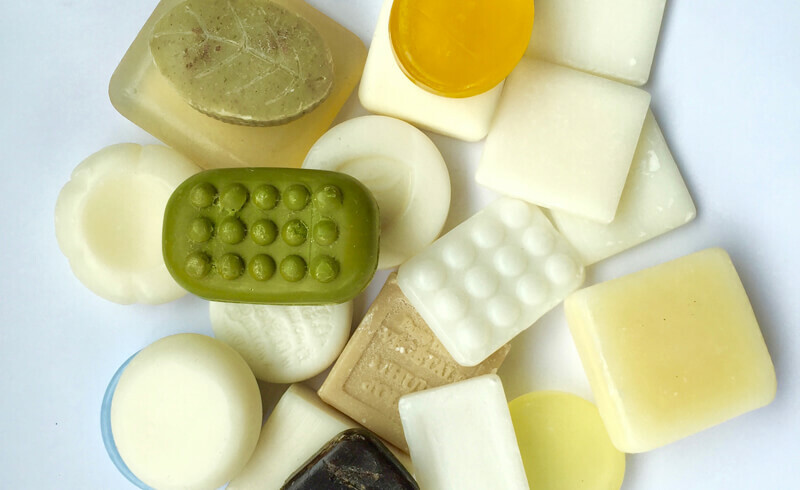 It distributes soaps to children and young mothers in various Eastern European countries. Moreover, SapoCycle has recently entered partnerships with UNICEF and local NGOs in Cameroon. These partners are critically important not only for the logistics of distribution, but also because they are active on the ground in raising awareness on health related issues. This is crucial if the soaps are to be used in an effective way. The positive feedback from beneficiaries in Cameroon is indisputable, although the reasons for the enthusiasm vary: Children say that it is fun playing with the bubbles. Teenagers report feeling good about smelling nice around their friends. And parents refer to the health related benefits and reduced costs, such as not having to take sick children to the hospital. 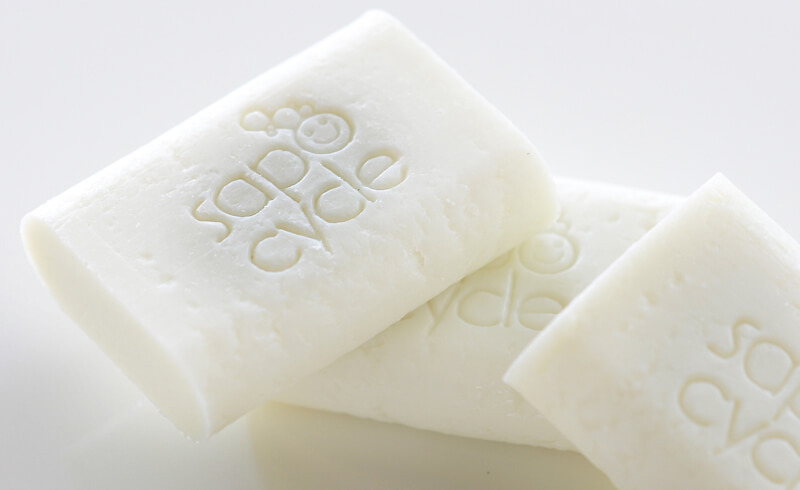 The eco-friendly principles of SapoCycle extend to the logistics of sending the recycled soaps to the chosen countries. The aim is to keep the foundation's ecological footprint as small as possible by avoiding air cargo options. They try to ensure that the soaps are shipped off with other humanitarian supplies, thereby maximizing the use of container space. What's in store for SapoCycle? The foundation's vision for the future includes increasing the number of participating hotels in Switzerland. (There are already signs of interest from hotels in France.) Secondly, SapoCycle is looking to branching out into more beneficiary countries - including Switzerland. Here, the possibility of partnering up with Schweizer Tafel is being considered. Finally, they are trying to find ways of recycling liquid soap varieties, which are currently posing a technical challenge. One prospect is particularly interesting: SapoCycle is looking into a franchising model for countries with both luxury tourism and extreme poverty. This way, the recycling as well as the distribution of the soaps would be conducted within the same country. Perhaps a business venture for expat readers to mull over when they return to their home countries? A feasibility study is currently being conducted in Argentina. With such an amazing program and so much to look forward to, it is hardly surprising that Dorothee Schiesser feels truly happy on the job for the first time in her life. "Every day is exciting," she adds. SapoCycle is a foundation under the umbrella of the Fondation des Fondateurs. It is run by its advisory board and a young collaborator, Chloé Belamaric. Funding comes mostly from donations, although crowd donating is an option for the future. For anybody thinking of setting up a foundation, Dorothee Schiesser's advice is to trust yourself and your idea, and to be honest in all your relations. Sam is a freelance communications consultant in Basel. She is the author of three books on self-development topics and considers herself to be a world citizen. On her days off, Sam can often be found hanging out with the furry residents at the cat shelter in Muttenz.